Grace and Frankie centers on two long-term nemeses who must coexist after their husbands announce they've fallen in love with each other and plan to marry. 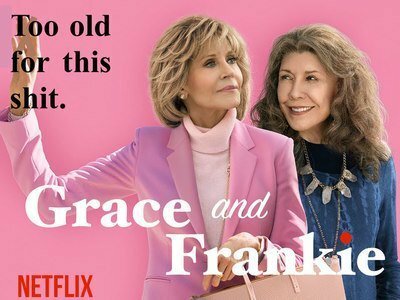 Netflix announced today that Grace and Frankie has been picked up for a sixth season. The good news comes just days ahead of the comedy's fifth season release, with word that pre-production on the next season has already begun. The critically-acclaimed series is one of the streaming service's longest-running original comedies, with a line-up leading 52 episodes to-date. Lily Tomlin and Jane Fonda star as divorcees brought together after their husbands fall in love with each other. The roles are the pair's first together since 1980's comedy 9 to 5. There is no word on the number of episodes on-order for Season 6, though 13 has been the status quo thus far and there is no reason to expect a change at this point. Look for Season 6 of Grace and Frankie to hit sometime in 2020. In the meantime, Season 5 is set to premiere this Friday, January 18.